William Shatner can afford to be picky at this point in his career, but most actors would kill to be on The Big Bang Theory. You may love the show, you may only enjoy it when you’re in a hate-watching spiral, but it remains one of the highest rated sitcoms on air no matter what we or William Shatner thinks. But the man who starred in $#*! My Dad Says has standards. 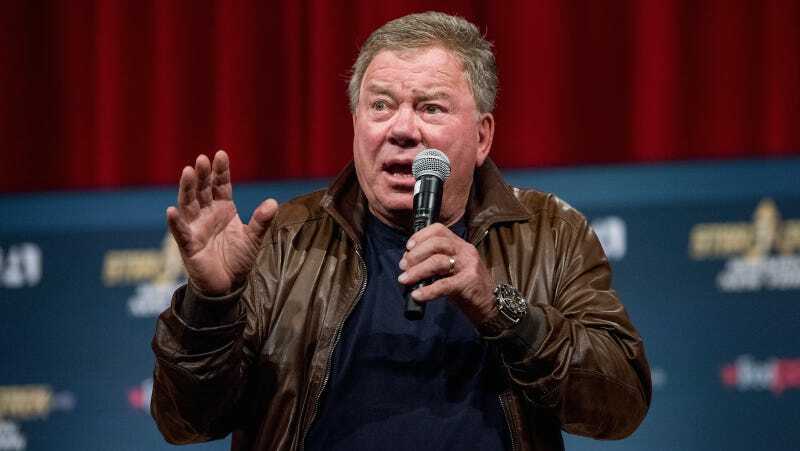 In an interview with Digital Spy, Shatner revealed that he’s turned down a guest appearance on that show full of nerds, mainly because he’s dissatisfied with the role they offered him. I’ve had several conversations with the creators, and what they wanted me to do, didn’t seem to be exactly right, so I said ‘find something that’s better’. They may have taken umbrage at that, I’m not sure...They wanted me to play myself a little obliquely, and they said it would work out, but I needed more assurance on that. The Big Bang Theory has featured guest spots from Leonard Nimoy, Brent Spiner, Levar Burton, and George Takei. William Shatner would fill out their collection. They must want him so bad! Considering Nimoy’s spot was as a literal talking action figure, his hesitation is understandable. Playing yourself “obliquely” as a doll isn’t very appealing.